Boxing Day week is often about swapping or exchanging gifts so I thought I’d throw out a literary bonbon or two to my readers, whomever they may be. In past posts regarding popular music I’ve skipped entirely over the decade of the 1980s, for reasons I elucidate here. One of the great things about a good music collection is that, like a library, it allows you to continually rediscover old treasures. Just as with real books, vinyl LPs have a presence that is more easily reasserted in one’s consciousness than an MP3 file buried on a hard drive or iPod. The true measure of a work of art in any genre is its enduring quality and I write here of one such gem that has weathered the test of time. The 1980s were a particularly dismal decade for popular music. Very little of it stands the test of time. A fabulous exception to this is XTC’s Skylarking (1986), as perfect a pop album as was ever made, without a single stumble in tone, lyric or delivery. The ultimate expression of English Romanticism in music, it has a Wordsworthian quality to it. The mood is consistently light-hearted and adoring even in its darker moments when the hero of the song can only shrug his shoulders and hope he’ll “earn enough for us. 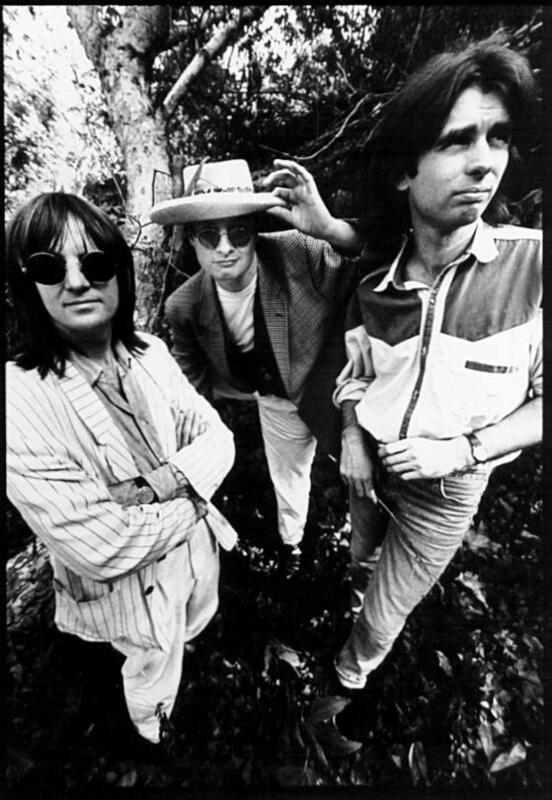 Glad that you want to be my wife but honest…” Songwriters Colin Moulding and Andy Partridge struck the shimmering veins of dormant memory with emotive precision on Skylarking and the result is unforgettable. In Summer’s Cauldron, the blue crispness of a balmy summer day in the country is evoked by songwriter Andy Partridge as profoundly as Wordsworth wandering the Lake District nearly two centuries earlier: “Drowning here in summers cauldron under mats of flower lava / Please don’t pull me out, this is how I would want to go / Breathing in the boiling butter, fruit of sweating golden Inca / Please don’t heed my shout, I’m relax in the undertow…” I can practically smell the hay stubble, the whiff of blossoming hedges… This is no small accomplishment in a field that is too often noted for clichéd and at times even inane lyrics. 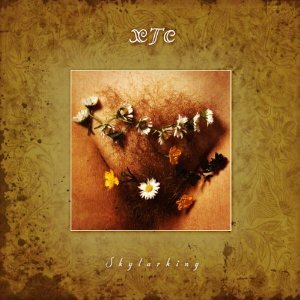 Some critics have seen Skylarking as of a fabric with the neo-psychedelia XTC was exploring around the same time in their Dukes of Stratosphear incarnation. Allmusic critic Stephen Thomas Erlewine is closer to the mark when he says: “Skylarking had little to do with new wave and everything to do with the lush, post-psychedelic pop of the Beatles and Beach Boys,” though I find the latter comparison less apt. Too much of the Beach Boys’ music failed to reach the mature sensibilities expressed on this album and throughout XTC’s career, remaining more of an artifact of ’60s teenage culture. The Beatles comparison is certainly apt, given that both bands ranged widely across the musical spectrum, effortlessly spinning out pitch-perfect pop songs. There is a hint of psychedelia on side two of Skylarking (I still see it as two sides of an LP) in the processed guitar of Another Satellite and the quasi-music hall arrangement of Man Who Sailed Around His Soul. But otherwise this is just pure songwriting, free of artifice or any attempt to fit it into any particular style. 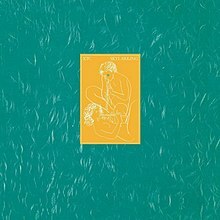 Skylarking has remained among my favourite albums of all time in a field with very stiff competition, making all the more puzzling how little known XTC are. To me they are the Unknown Beatles of ’80s pop music, the Lennon-McCartney of alt-pop. I’ve often wondered why so many lesser bands during that odd era catapulted to global fame while these masters have remained mostly a cult favourite. Certainly it was an era of resurgent commercialism, one might even argue Commercialism Triumphant, in popular music. Coming after the Legendary ’70s, the 1980s were a disappointment to say the least. Particularly up to about 1977, take a year—any year of that decade—and I defy you to find one without wall-to-wall classic albums being made. Then in the new decade the corporate dweebs took over. The results were predictable, forcing the best bands to go underground as schlock like The Buggles and The Flying Lizards scored one-hit wonders. Though it’s surprising how many truly original bands—Siouxsie and the Banshees, Ultravox, The Stranglers, Simple Minds, and Echo and the Bunnymen to name just a few—managed to keep major label deals in the absence of a single Top 10 hit. Top 100 album chart, maybe. Meanwhile the already established bands were scrambling over themselves to clean up their haircuts and get radio-friendly material into the charts. (Sell-outs! I used to grumble bitterly.) Probably it would have been better if the ’70s alumni had just taken an extended leave of absence during the ’80s. But then for sheer longevity the 1970s have it hands down over the 1980s. How many bands from the ’80s are even still around, much less having their records played over and over again? And sadly it’s only tailed off from there, decade by decade up to the present. That’s what you get when society values profit over creativity—brilliance is throttled down, choked off. Unfortunately for me, having bought the original vinyl release of Skylarking when it came out in 1986, I never did get to know the song Dear God, since it was only later included on the album. Now it’s a bit jarring to hear it on the album that has seeped into my pores to become part of me. It seems a good enough song and certainly has the incisive wit and social commentary we’ve come to expect from Andy Partridge. But musically to me it will always feel like an add-on, like those annoying ‘bonus cuts’ they’re constantly dredging from the vaults to clutter up classic albums. I’m sure many XTC fans will disagree. NOTE: A ‘corrected’ version of Skylarking has been released, setting right the dissatisfaction Andy Partridge has had with it ever since Todd Rundgren first engineered the album. I have to say I prefer the original cover artwork, the sky-blue with an inset line art of two lovers playing flutes. But I eagerly await the new sound, assuming it’s not a travesty on the original. This entry was posted in Music, Rock 'n Roll and tagged 1980s, Andy Partridge, Colin Moulding, Dave Gregory, music, pop music, rock, Skylarking, xtc. Bookmark the permalink. I do feel the same about having Dear God in it, too. Anyway, they don’t do albums like this anymore. I smply love it and bought it in 4 different versions on CD up to now. music hall? what?! nothing like, sorry… jazz; maybe….